Cities Connection Project | HOUSING FOR YOUNG AND ELDERLY. BARCELONA. 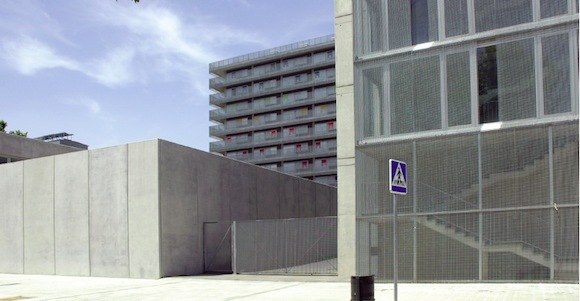 This is a government subsidized building that the town hall propose to all the young architects in Barcelona. They wanted to see how new architects visualised subsidized buildings and how they resolve the layouts of forty square metres that the government propose to solve the land problems in Barcelona. We had to design 77 flats for young people and 70 more for elderly. The building in the centre is a social centre, that’s the part we purpose it would be the old market. Among the buildings and the social centre there is a square for all the people in the complex so it’s like a private spot for social live. 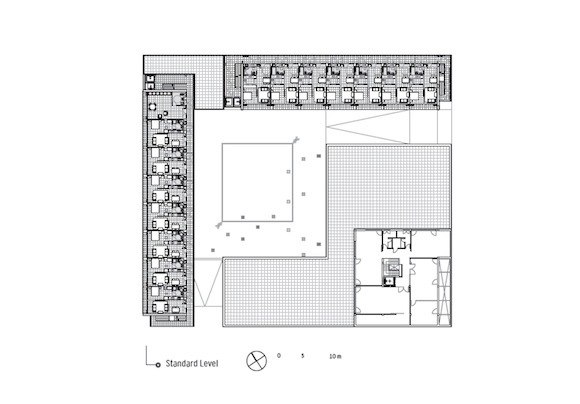 The layout is strictly adjusted to the minimal spaces for living: one living room with the kitchen incorporated in the young people flat and separated in the elderly ones. The flats have one bedroom and its entrance, in the case of elderly flat, allows to put a bed in case assistance is necessary. In both in order to make this forty square meters seem less narrow you have the possibility to extend or reduce the space for gatherings with a sliding door that permit you to see all the entire balcony. This space is luminous and seems wider.